Background/Purpose: Chikungunya fever virus (CHIK) is emerging in the western hemisphere as a mosquito-borne, acute onset arthritis. The majority of cases progress to persistent moderate to severe polyarthritis that clinically resembles rheumatoid arthritis (RA).1 As the majority of CHIK arthritis patients reportedly lack rheumatoid factor (RF) and cyclic citrullinated peptide antibody (CCP), differential diagnosis includes seronegative RA.2 Extracellular 14-3-3η, a chaperonin, is a novel biomarker for joint damage in rheumatoid arthritis (RA) and erosive psoriatic arthritis, with serum elevation occurring in early RA. We previously demonstrated that 21% of patients with early “seronegative” RA and 67% of patients with established “seronegative” RA are 14-3-3η-positive.3In order to determine the utility of RF, CCP, and 14-3-3η in the differential diagnosis of CHIK arthritis versus RA, we tested CHIK infected patient serum for 14-3-3η. Methods: Serum samples were submitted for CHIK IgM and IgG serology. De-identified remnant samples positive for CHIK IgM were tested for 14-3-3η by a proprietary laboratory-developed sandwich ELISA. Rheumatoid factor (RF) isotypes and cyclic citrullinated peptide antibody (CCP) were determined by ELISA. Results: Of 234 CHIK IgM-positive sera, 223 were also CHIK IgG-positive (95.3%, CI 91.7% to 97.6%). RF IgM was positive in 51 of the CHIK IgM-positive patients (21.8%, CI 16.7% to 27.6%), RF IgG in 7 (3.0%, CI 1.2% to 6.1%), and RF IgA in 10 (4.3%, CI 2.1% to 7.7%). CCP was positive in only 4 patients (1.7%, CI 0.5% to 4.3%). Two isotypes of RF were present in 7 patients, only one of which was CCP-positive. All 3 RF isotypes were present in 1 patient, but the patient was CCP-negative. At least one isotype of RF was positive in 59 patients (25.2%, CI 19.8% to 31.3%). 14-3-3η was positive in 25 patients (10.7%, CI 7.0% to 15.4%). Of those 25, RF was positive in only 6 (24.0%, CI 9.4% to 45.1%) and CCP was positive in only 2 (8.0%, CI 1.0% to 26.0%). Conclusion: Nearly all patients were positive for CHIK IgG at the time of diagnosis based on a positive CHIK IgM. At least one RF isotype was present in 25.2% of patients. CCP was uncommon. 14-3-3η was present in only 10.7% in contrast to a 64% positivity rate in early RA patients.4 Therefore, RF may not be helpful in differentiating early RA from CHIK arthritis. However, CCP and 14-3-3η occur less frequently in CHIK arthritis and when present may aid in the differential diagnosis of RA from CHIK arthritis. References: 1. Arroyo-Avila, Vilá. P R Health Sci J. 34:71-77, 2015; 2. Miner et al. Arth Rheum 67:1214-20, 2015; 3. Naides, Marotta. J Rheum, in press; 4.. Maksymowych, et al. J Rheum. 41:2104-13, 2014. Disclosure: O. S. Zhukov, Quest Diagnostics, 3; R. W. Abolhosn, Quest Diagnostics, 3; J. G. Rivera, Quest Diagnostics, 3; M. Lape Nixon, Quest Diagnostics, 3; R. J. Lagier, Quest Diagnostics, 3; H. E. Prince, Quest Diagnostics, 3; H. J. Batterman, Quest Diagnostics, 3; S. J. Naides, Quest Diagnostics, 3. Zhukov OS, Abolhosn RW, Rivera JG, Lape Nixon M, Lagier RJ, Prince HE, Batterman HJ, Naides SJ. Chaperonin Protein 14-3-3eta, Cyclic Citrullinated Peptide Antibody, and Rheumatoid Factor in the Differential Diagnosis of Chikungunya Arthritis Versus Rheumatoid Arthritis [abstract]. Arthritis Rheumatol. 2015; 67 (suppl 10). 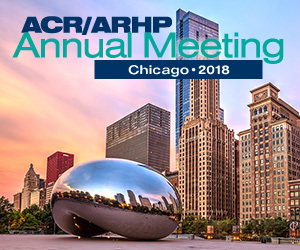 https://acrabstracts.org/abstract/chaperonin-protein-14-3-3eta-cyclic-citrullinated-peptide-antibody-and-rheumatoid-factor-in-the-differential-diagnosis-of-chikungunya-arthritis-versus-rheumatoid-arthritis/. Accessed April 20, 2019.